The fashion in Montreal is known for being stylish and unique.​ Downtown Montreal is filled with Boutiques and up-scale stores. 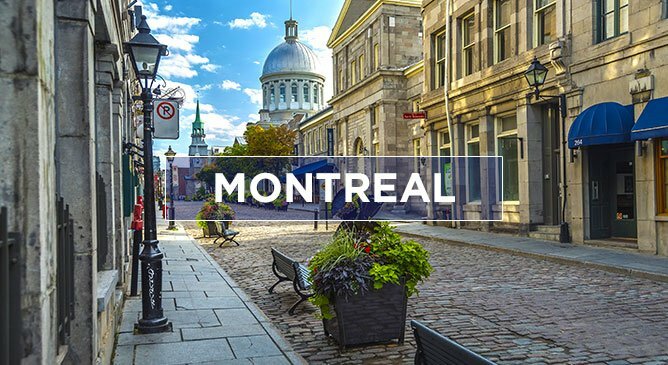 But there are plenty of bargains as well if you know where to look.​ In Downtown Montreal, find the shopping mecca underground, away from the cold weather. There are 19 miles and ​several floors of connecting tunnels filled with ​shops. The ​entrances are​ scattered around Downtown with ​many located on Saint-Catherine Street. Saint-Catherine Street, above ground, is a busy shopping street with a department store and boutique shops to suit everyone's style. If you're looking for a bargain, head over to Plaza St Hubert Street where over 400 merchants are gathered underneath awnings. This is where the shopaholics go to find great bargains on shoes, brand name clothing, formal wear, jewellery, lingerie, perfume, cosmetics, knick-knacks and electronic goods. There are also plenty of places to stop and grab a bite to eat between shops.